Turn dinner into a rustic dining experience with this charming table and chair set. 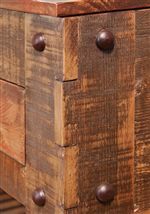 Crafted from solid pine and given a multicolor distressed finish to simulate reclaimed barn wood, these pieces have a very antique look. The 900 Antique Rustic Multicolor 5 Piece Table and Chair Set with Iron Base by International Furniture Direct at Sparks HomeStore & Home Furnishings Direct in the Thatcher, Cottonwood, Safford, Sedona, Morenci, Arizona area. Product availability may vary. Contact us for the most current availability on this product. 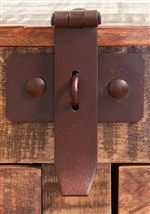 The 900 Antique collection is a great option if you are looking for Rustic Casual furniture in the Thatcher, Cottonwood, Safford, Sedona, Morenci, Arizona area. 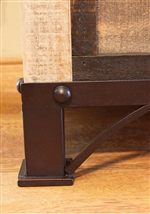 Browse other items in the 900 Antique collection from Sparks HomeStore & Home Furnishings Direct in the Thatcher, Cottonwood, Safford, Sedona, Morenci, Arizona area.